On November 1st, the price of Sales Pro will increase to 400/month to make room for even more great features. Buy now and pay only 50/month per user! Learn more. Which CRM systems does Sales Hub integrate with? Our free tools and Sales Hub Starter integrate with HubSpot CRM. Sales Hub Professional and Enterprise integrate with HubSpot CRM as well as Salesforce. Which email tools does Sales Hub integrate with? Sales Hub integrates with Gmail, G Suite, and many versions of Outlook for Windows. What type of support is available to Sales Hub users? All Sales Hub users (free and paid) can access the HubSpot Community at community.hubspot.com for support. 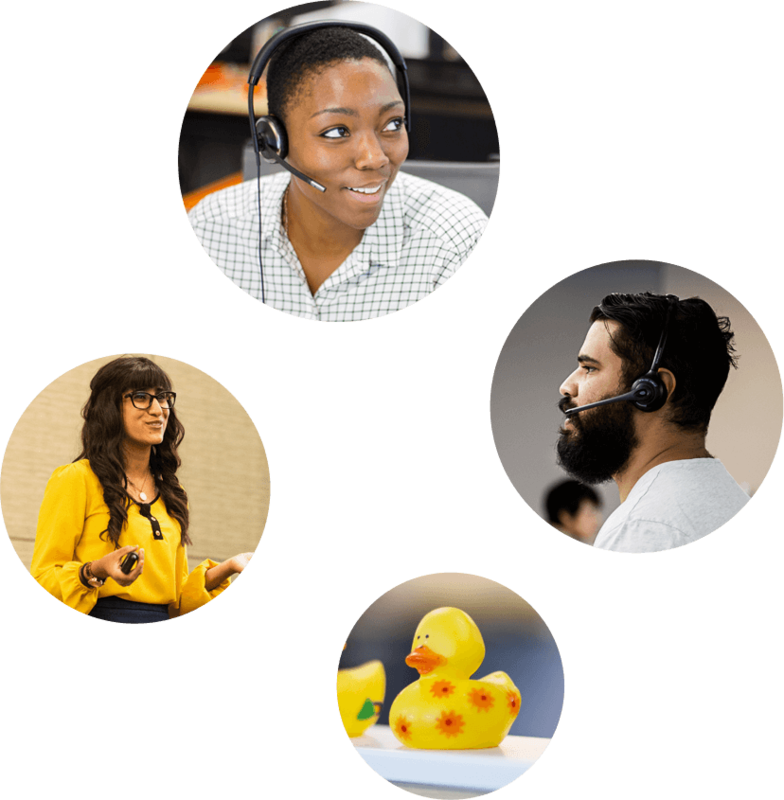 The mission of this inbound community is to provide customers with a vibrant channel to ask questions, find answers, and engage with professionals from around the world on HubSpot best practices. Users of Sales Hub Starter have access to email and additional in-app support options. Users of Sales Hub Professional and Enterprise also have access to email and additional in-app support options — plus phone support. This means HubSpot customer support specialists are available to answer your questions. What is a user and how many can I have for HubSpot's free tools, Sales Hub Starter, Sales Hub Professional, and Sales Hub Enterprise? You can think of a user as any person who has access to use the HubSpot software. You can always have unlimited users of HubSpot's free tools, whether or not you decide to upgrade some users to a paid version of Sales Hub. That means even if you upgrade to Sales Hub Starter, Professional, or Enterprise, you only need to pay for the users who need access to those paid features — and your other users will still remain free! Do I need to pay for a year up front for Sales Hub Enterprise? Sales Hub Enterprise contracts are billed annually by default. We’ve found that customers who can commit to a full year of using HubSpot will be more successful in the long run. And since your long-term success is our goal, we want to encourage those practices that support that goal.